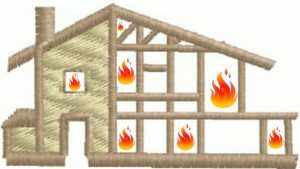 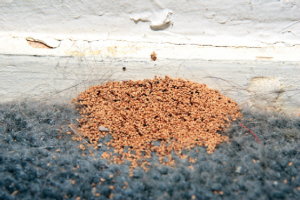 Can cause even more damage than drywood termites. 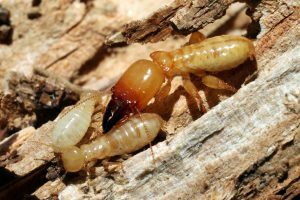 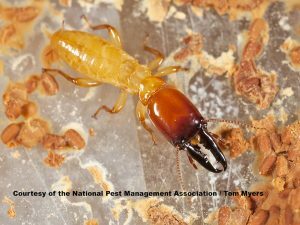 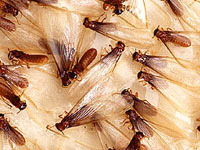 Subterranean termites live in the ground and come up to feed on the wood members of your home. 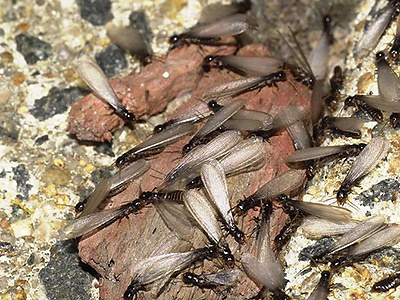 They create mud tubes/tunnels to traverse between the soil and the wood they are feeding on. 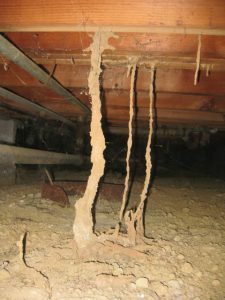 The moisture in the tubes can also cause fungus to grow in the wood members and inner wall areas.